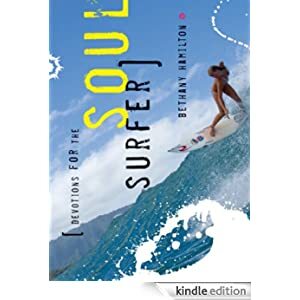 She’s blonde, brave, and totally determined—she’s a gutsy professional surfer who has inspired millions, and her biggest audience is teenage girls. In this devotional, Bethany speaks straight to her soul sisters about letting God lead in the epic ride of life. In this devotional, Bethany shares stories of women to admire, prayers to focus on, and wipeouts to avoid. Girls will hear thoughts on friends, family, faith, gossip, and peer pressure—Bethany covers it all. Buy this devotion guide for only 99 cents today.